During post production of my new short, 2084, I had to manage a LOT of visual effects. Every shot in the film consisted of multiple rendered layers. This often led to some fairly complex timecode calculations. 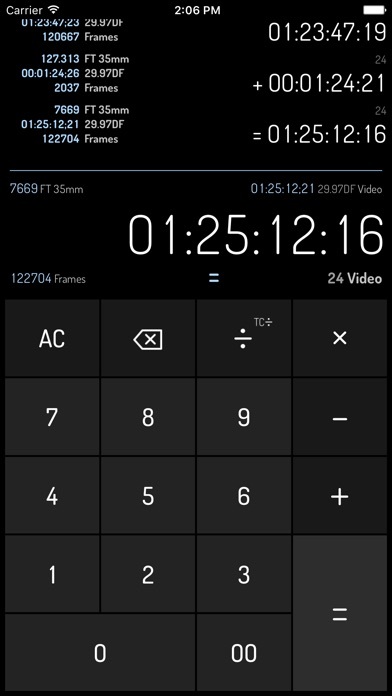 Thankfully, I own a powerful timecode calculator app called, appropriately enough, Timecode ($6.99)! 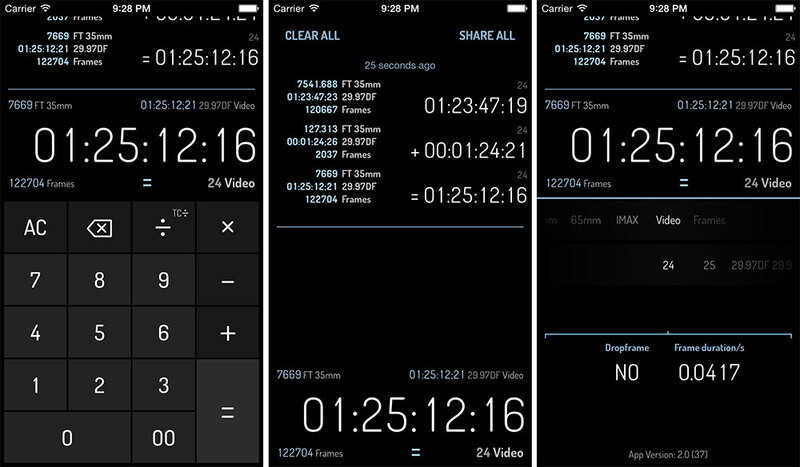 If you’re not already familiar with Timecode, it’s an easy to use iPhone app for quickly and precisely performing timecode and film unit calculations. In addition to calculating, it can also perform lighting-fast conversions. Panoptik, the app’s developer, has just released a brand new version, bringing with it a beautifully revamped interface. To celebrate 2084’s upcoming release (this Thursday), I’m giving away Timecode to FOUR randomly-chosen HHH newsletter subscribers! To enter, simply subscribe to the HHH newsletter by this Friday at 11:59pm PST. All new subscribers also get a free chapter from my book… so, neat! If you’re already subscribed, then you’re already entered. The sign-up form is in the sidebar to the left (or below if you’re on an iPhone). 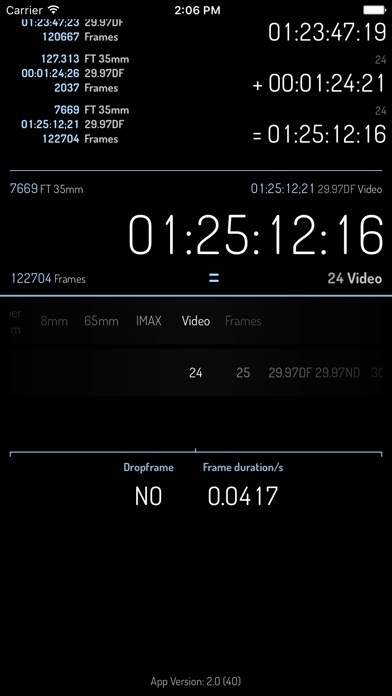 There are plenty of other timecode apps in the App Store, but in my opinion, Panoptik’s Timecode has always led the way. 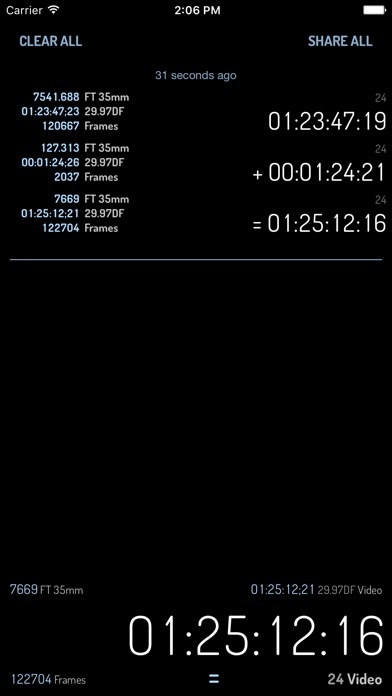 So, if you’re the type of person who calculates timecode, feet or frames, I suggest you grab Timecode, your new best friend. 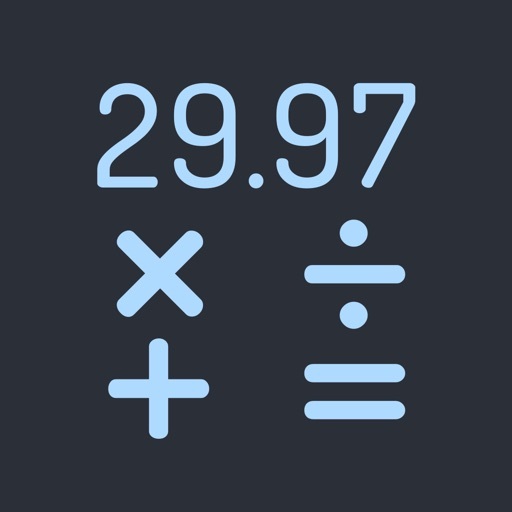 Timecode is the most attractive Timecode calculator on the market (if we do say so ourselves). It is the only professional choice for performing fast, ultra-precise timecode calculations and film unit conversions. Using Timecode, you can calculate and convert any timecode into any other timecode or unit at the touch of a button. Timecode displays four user-definable units at once, allowing you to view conversions on any frame rate like 29.97 fps, 25 fps, rolls of film and frame results at the same time. Do you need to know more? 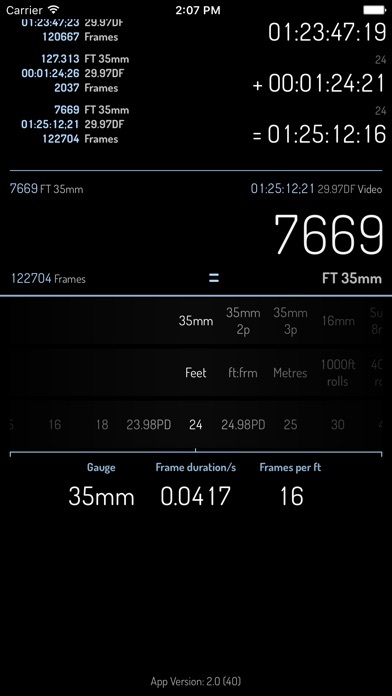 OK, OK not only can you do all those fancy frame and film rate calculations but it also gathers them together in an elegant little log that can be forwarded on to anyone who needs to know. Packed under the hood of it’s deceptively simple interface is one of the most robust timecode math engines on the planet, designed by a team of filmmakers, editors, designers, technicians and developers. Thanks to Timecode’s peerless combination of precision software engineering and clear, contemporary design, complicated timecode calculations are more simple than they have ever been. Honestly, you need this in your life. - Mix any units you desire. From feet to frames to HD to PAL to NTSC to IMAX and beyond!